The Chinese culture likes playing with symbols and words, especially during Chinese New Year. What’s more, not only does traditional Chinese New Year food play an important part on this special occasion, but also the names of traditional Chinese New Year dishes and their ingredients tend to carry symbolic meanings or refer to wishes expressed during this time of the year. 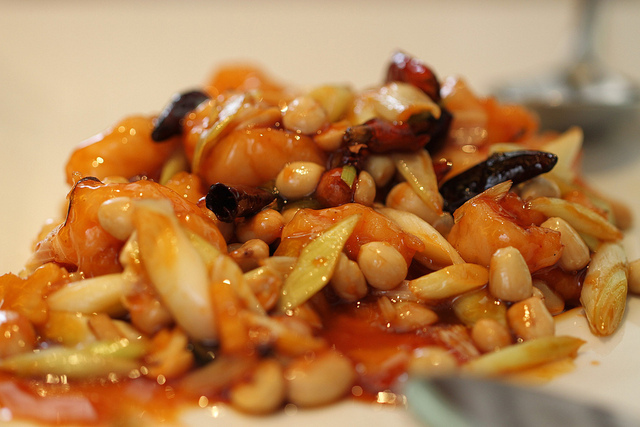 In this blog post, we present 16 mouth-watering, traditional Chinese New Year recipes. From dumplings and noodles to stir fries and sweet, delicious desserts, these Chinese New Year recipes will ensure that you can host your very own special CNY lunch or dinner! Cut chicken into small cubes and mix with soy sauces, rice wine, cornstarch, and water. Leave to marinate for half an hour. Mix the sauce ingredients and stir together, then add cornstarch. 3. Chop garlic and chili peppers. Heat oil to about 360 degrees F and slide chicken into wok. Deep fry for a minute until the cubes turn white. Remove and drain on paper towels. Leave 2 tablespoons of oil in the wok. Add chilies to wok and fry until skin starts to blister. Add garlic and stir for about 30 seconds. Put the chicken back to the pan and stir through, add the sauce on top and continue stirring to thicken. Stir in peanuts and serve immediately. Scrub clams with stiff brush and soak in salted water for 2 – 3 hours to remove sand and grit. Mash black beans with a fork and stir in with chili paste. Put all sauce ingredients in a separate bowl. Heat your wok with heat on high and add garlic, ginger, and leek. Stir for a couple of seconds and add black beans. Stir for another 15 seconds. 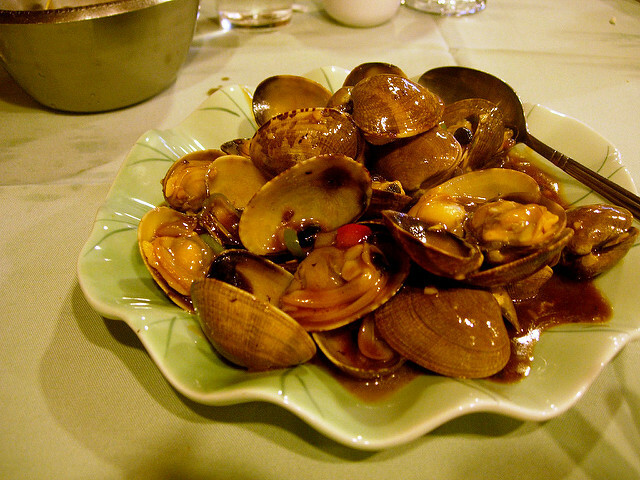 Add clams and fry for a minute or two, then add rice wine. Pour in the broth and turn down the heat. Cover and simmer for 5 minutes until clams open and add green onions. This is one of the most traditional of all Chinese New Year recipes, and a firm favourite among everyone. Stir flour and salt together and slowly add water to form a smooth dough. Knead the dough into a ball and cover. Leave to rest for half an hour. 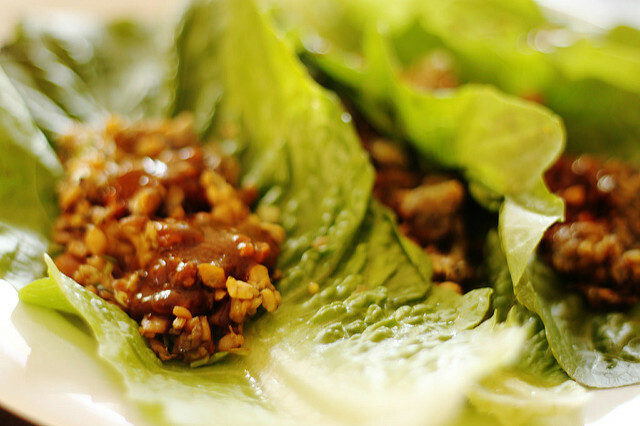 Prepare the filling by adding salt, soy sauce, white pepper, and rice wine to the meat and stir in one direction. Add the rest of the ingredients and stir in the same direction, mixing thoroughly. Knead the dough and divide into 60 pieces, rolling each piece into 3-inch diameters. 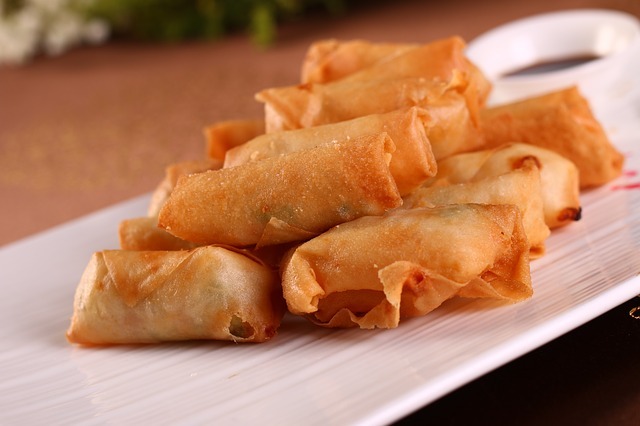 As with the wontons, place a tablespoon of filling in the middle of the wrapper and wet the edges with water. Fold the dough over to form a half moon shape and pinch the edges to seal tightly. 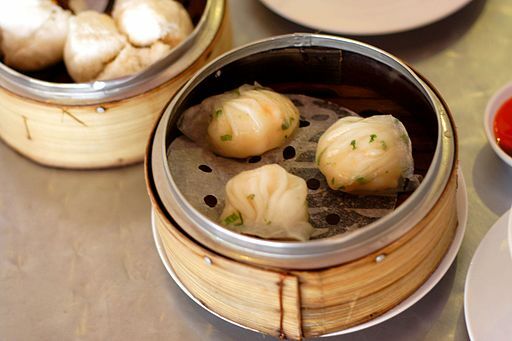 To cook the dumplings, bring a pot of water to the boil and add half the dumplings, stirring gently. Add half a cup of cold water and cover. Repeat and once the dumplings come back to the boil for a third time, drain them and remove. Pan fry if desired. Cut the pork into thin strips and soften the mushrooms by soaking them in hot water for half an hour, after which you can squeeze out the water and chop the mushrooms finely. Drain out and rinse the mung bean sprouts, peel and shred the carrot until you have ¼ cup. In a separate bowl, combine oyster and dark soy sauces, granulated sugar, chicken broth, and sesame oil. Heat wok over medium heat and add 2 tablespoons of oil. Once the oil has warmed up, add the pork and fry for 1 minute before adding the vegetables. Fry for one minute and push to side of the wok. Pour the sauce into the middle of the wok and heat briefly before mixing all ingredients together. Remove everything from the wok and allow to cool. Pre-heat the oil to 180 degrees Celsius. 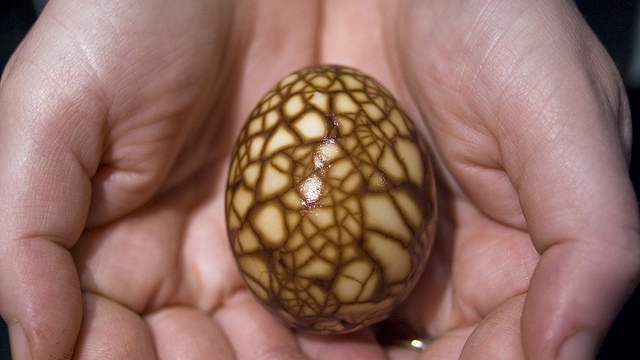 Lay a wrapper out in a diamond shape and use your finger to wet the edges using the beaten egg. 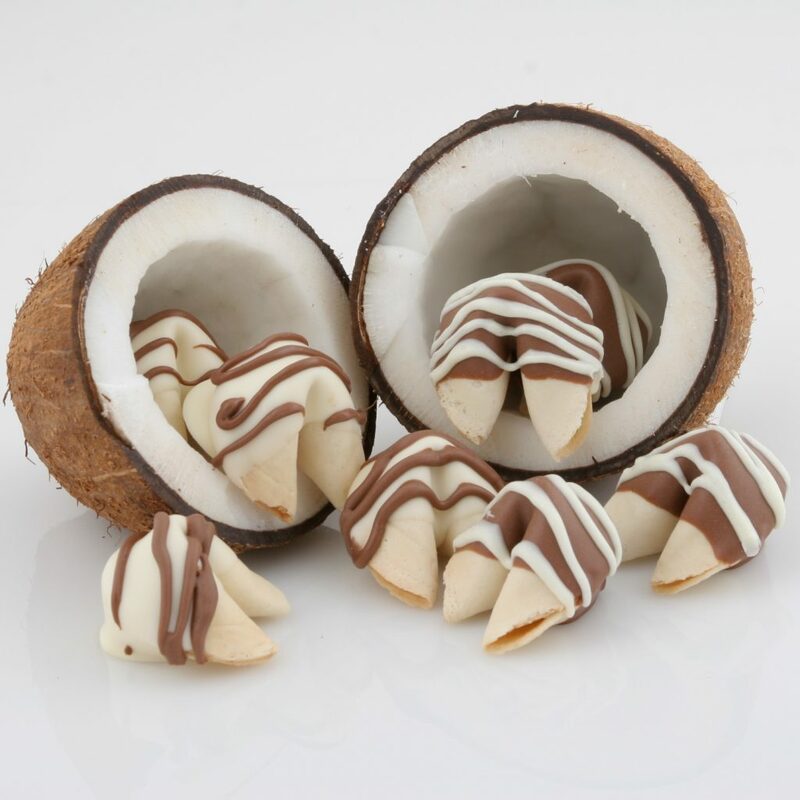 Put about 2 tablespoons of filling towards the bottom of the wrapper and roll over once, tucking in the sides and then continuing to roll the wrapper. Securely seal the top. Wash and dry the lettuce and separate the leaves. Heat the sesame oil in a frying pan on high and add ginger, green onions, and garlic, and fry until fragrant. Add the chicken slices and cook until brown. Remove the chicken from the pan. Add water chestnuts, celery, and red pepper to the frying pan. Add all the sauce ingredients and cook on a medium heat. Add the cornstarch mixture to the sauce and stir to thicken. Place the chicken back in the pan and cook for 2 – 3 minutes to heat through. Lay out a leaf of lettuce and spoon a heaped teaspoon of the mixture into the middle. Combine ground pork, cabbage, shrimp and seasoning and set aside. Place a small spoonful of the filling in the center of the potsticker skin and dab water with your finger around the edge of the skin. Fold and pleat the skin. Place a little cooking oil in a pan on medium heat. 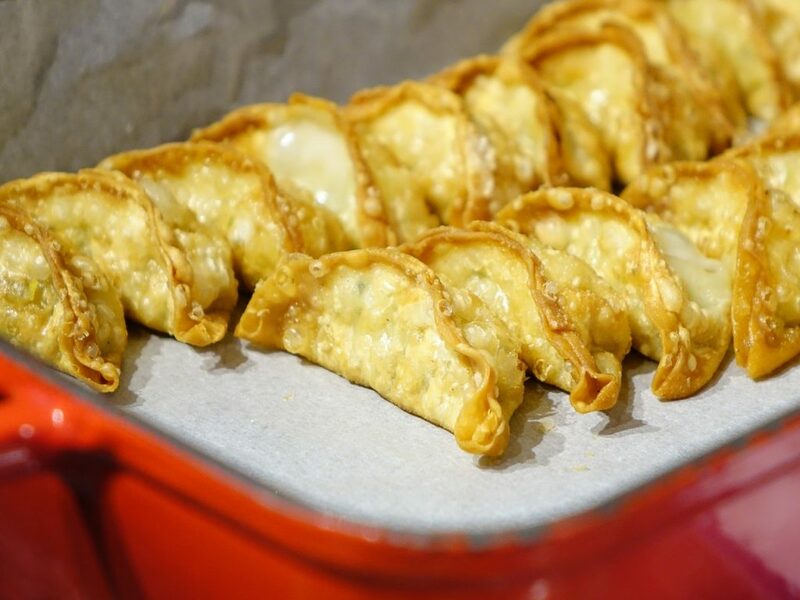 Place the dumplings in the pan and turn the heat to high to fry the potstickers until they turn golden and crispy on the bottom. Add the water and cover the frying pan with a lid. Leave to cook until the water evaporates and then turn the heat down to low. Cook for another 2 minutes and serve hot with vinegar. 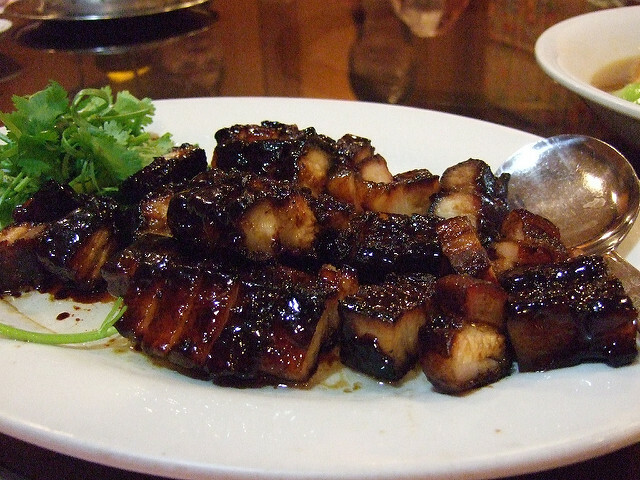 Marinate the pork in two thirds of the sauce and chopped garlic, and leave overnight. Add one and half tablespoons of cooling oil to the remainder of the sauce and refrigerate. The following day, heat the oven to 375 degrees F and roast the meat for 15 minutes, shaking off excess sauce before roasting. Take meat out of the oven and thread onto metal skewers to grill over the fire or stove top. Brush the remaining sauce over the meat while grilling until charred. Slice into bite-size chunks and drizzle the remainder of the sauce over. Serve with white rice. To prepare the dip, place the chicken bouillon powder, salt, ginger, and scallions in a bowl. Heat the oil in a wok until smoking and pour the oil into the bowl and mix well. Set aside. Add everything except the ginger into a deep pot. Bring to the boil and heat for 15 minutes. Add the chicken and boil on high for 10 minutes. Lower heat and simmer for about half an hour. Turn the heat off and leave the chicken to steep in the soy sauce mixture for a couple of hours. Rub 1 ½ tsp salt over the duck, don’t forget the cavity. In a Dutch oven or wok, mix together soy sauce, water, sugar, lemongrass, star anise, galangal, peppercorns, cinnamon, and the rest of the salt and bring to the boil. 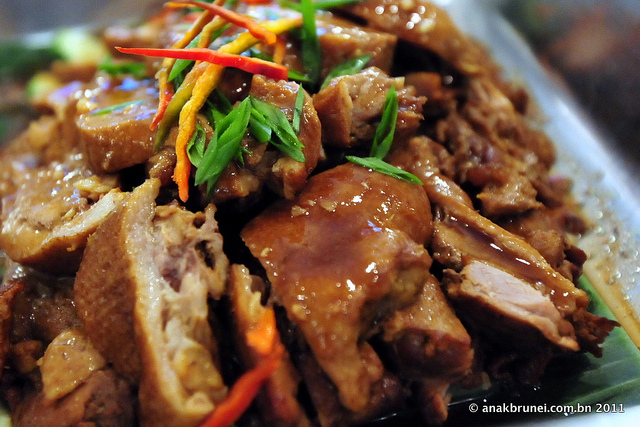 Reduce the heat to a medium-low temperature and lower the duck gently into the wok. Baste the duck every 5 minutes for the first 20 minutes to colour evenly. Cover the wok and simmer for 40 – 60 minutes or until the meat is tender. Flip the duck half way and if the sauce looks like it’s getting dry, add a little more water. 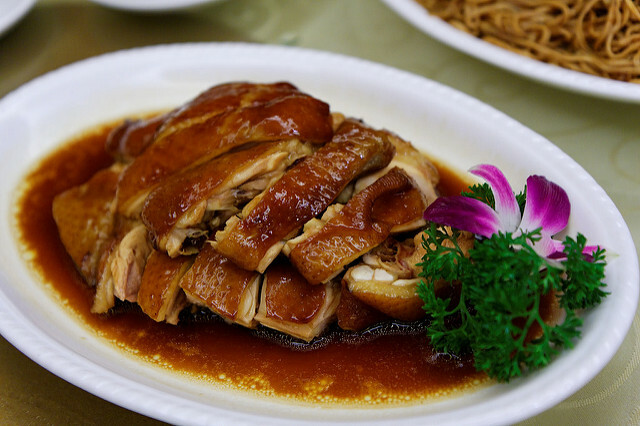 Once the juices run clear and when the duck thigh can be poked with a chopstick, the duck is ready. Turn off the heat and leave for another hour. Cut the meat into serving pieces and drizzle the sauce over before serving. Serve with the dipping sauce and steamed rice. Add the water to a medium pot and gently drop the eggs into the water, making sure they are fully covered under water. Bring to the boil on high for 10 minutes. 2. Remove the eggs and rinse under cold water. Use the back of a teaspoon to gently tap the eggshell to crack it. Place the eggs back in the water and add the rest of the ingredients. Bring the mixture to the boil and turn down to a low heat. Leave to simmer for 2 hours. Serve immediately or leave overnight to develop flavour and colour. For the sauce: whisk together vinegar, broth, soy sauce, tomato paste, cornstarch, crushed red pepper, and sesame oil in a bowl and set aside. Place the shrimp in a colander and rinse with cold water. Drain the shrimp and pat dry with paper towels. Heat a large skillet or wok on a high heat and swirl in a tablespoon of oil. Add the ginger and garlic and fry for 10 seconds. Add the rest of the oil along with the shrimp and fry until the shrimp just starts to change colour. Add the bell pepper and salt and fry for 30 seconds. Add the sauce and fry until the shrimp is cooked, 1 – 2 minutes. 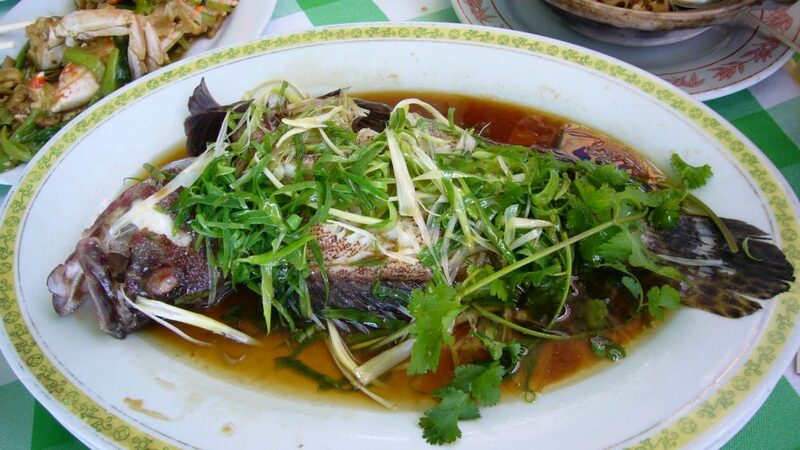 No Chinese New Year would be complete without a steamed fish dish! Get first dibs on the latest promotions on ingredients this festive season when you join our Giant Super Savers Club! Rinse the ready-cleaned fish and shake off any excess water. Transfer to a heatproof plate. 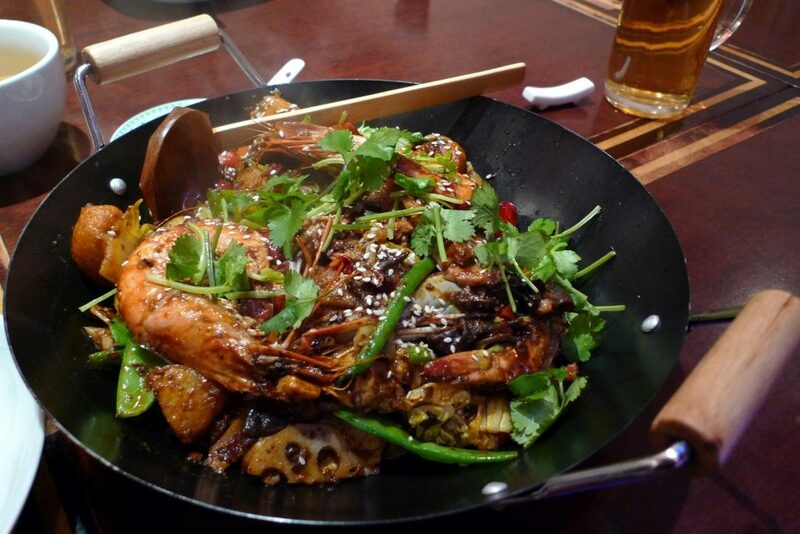 Assemble your steaming dish, such as a heat-proof plate or wok with a metal steam rack. Place the fish in the dish and steam for 9 minutes. Turn off the heat and make sure the fish is cooked through. Pour off all the liquid that has accumulated on the plate and spread half the ginger, the cilantro, and green portions of scallion over the fish. Heat 2 tablespoons of oil and the rest of the ginger in a saucepan and once the ginger sizzles, add salt, water, white pepper, and soy sauce, and heat until simmering. Add the rest of the oil and scallion and stir until the liquid simmers. Spoon the mixture over the fish and serve hot. Place brown sugar and water in a saucepan and set over a medium heat, stirring occasionally, until the sugar has dissolved. Leave to cool slightly. Fill a wok with 1 ½ inches of water and place a bamboo steamer in the wok. Bring the water to a simmer over medium heat. Coat a 9-inch round cake tin with vegetable oil. In a stand mixer bowl, place the rice flour and mix with a paddle attachment at a low speed. Pour in the sugar mixture slowly and beat until smooth. Remember to scrape down the sides of the mixer using a rubber spatula. Add the oil and beat on low speed until smooth. Add the almond extract and beat until mixed. Pour the mixture into the cake tin. Place the tin in the steamer and cover. Steam for about 3 hours until the cake is firm to Remember to replenish hot tap water in the wok as needed. Garnish the cake with dates and sesame seeds while it is still warm and leave to cool. Bring the water to the boil and add all the ingredients except the sugar and grass jelly. Boil on low heat for 30 – 45 minutes. 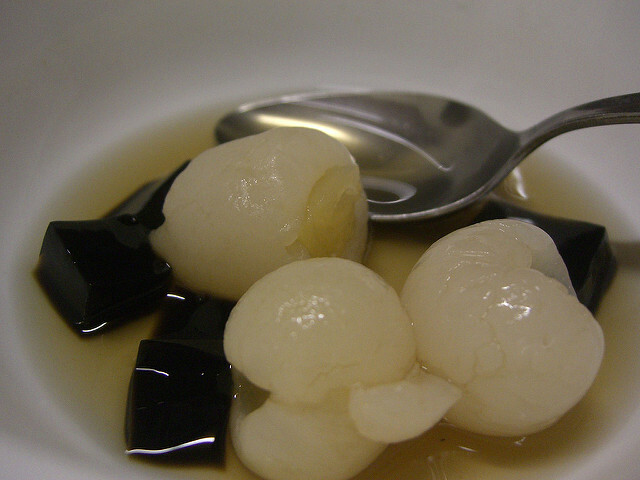 Add sugar and grass jelly to taste and serve cold or warm. Place the butter and chocolate in a bowl over a pan of simmering water and allow to melt. Stir occasionally. Once smooth, remove from the heat. Dip the rounded ends of the cookies into the chocolate mixture and let the excess chocolate drip off. Arrange the cookies on a baking sheet and place in the fridge until the chocolate is hard for about 10 minutes. Traditionally Chinese New Year food offerings are used to offer wishes or prayers that can be addressed to ancestors and other important beings, which brings the other world closer to the living. 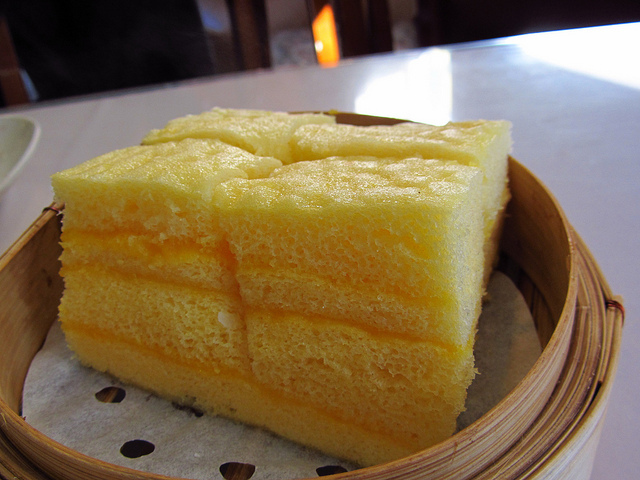 In other words, traditional Chinese New Year food offerings serve as a bond that brings both worlds together. 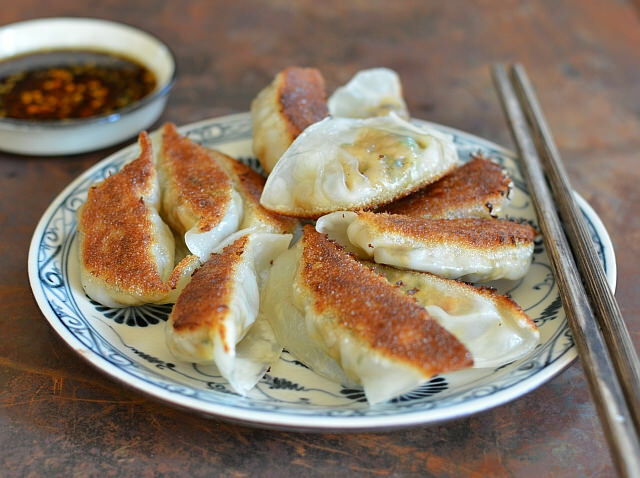 We hope these traditional Chinese New Year recipes will help fulfill all your wishes. Want to be the first to know when all these ingredients go on promotion? Join our Giant Super Savers Club and receive the latest promotions straight to your mobile phone. Fully appreciating traditions like Lo Hei, Yusheng ingredients meaning, and more will help you really enjoy the entire Year of the Rooster.